This is the fifth Bible lesson in our series based on the Fruit of the Spirit in Galatians 5. Each particular lesson plan explains a specific character quality that God creates in us through his Spirit. These lessons are designed to accompany the printable Fruit of the Spirit coloring book from our website. Be sure to scroll down to see the Kindness Necklace craft directions. Click here to see all the lessons in this series. Exegetical Idea: Kindness is a fruit of the Spirit, available to all believers as they abide in Christ. Pedagogical Idea: As believers, we are able to display the fruit of kindness as we abide and trust in Christ. Cognitive Aim: Children will know kindness is modeled most greatly by our God, is made possible through Christ, and is a fruit of the Holy Spirit. Affective Aim: Children will feel thankful for God’s great kindness towards them. Behavioral Aim: Children will do five acts of kindness this week and pray for God to help them produce the fruit of kindness. Kindle Curiosity (5 minutes) Description: Find the letters to discover the topic of today’s lesson. 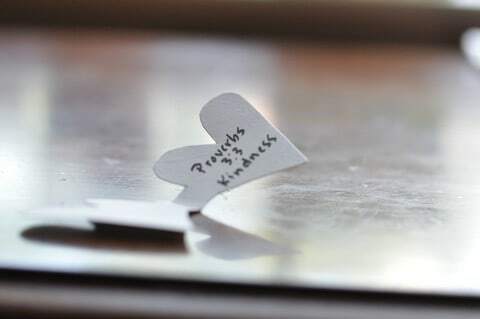 Supplies: Bible, marker/chalk board with Galatians 5:22-23 written out, eight pieces of paper with one letter written on each: K, I, N, D, N, E, S, S.
God Revealed (15 minutes) Description: Read and discuss Scripture about kindness. Supplies: Bible, dry erase or chalk board. Daily Knowing (7-10 minutes) Description: Memorize Ephesians 4:32, pray together. Supplies: Notecards for parents with Ephesians 4:32 written on one side. On the other, instruct parents to ask their children what 5 acts of kindness they are going to do this week. **For the fruit of the Spirit lessons, you could make a tree for the wall labeled “believer” or “Christian.” Each week you can add the particular attribute you are teaching about. This week, you would add “kindness,” allowing a child to place it on the branch of the tree. I would encourage you to only use one type of fruit (if you are writing each virtue on a fruit), for though there are several virtues produced by the Spirit, they are all one type of fruit: the fruit of the Spirit. There are also several object lessons and activities on the website that would complement this lesson if you have more time with your children. Many activities over the fruit of the Spirit would work well as the children are arriving. Write Galatians 5:22-23 on the board for the first activity. You need eight pieces of paper with one letter written on each: K, I, N, D, N, E, S, S.
Prepare the necklace craft found in Personal Pursuit. 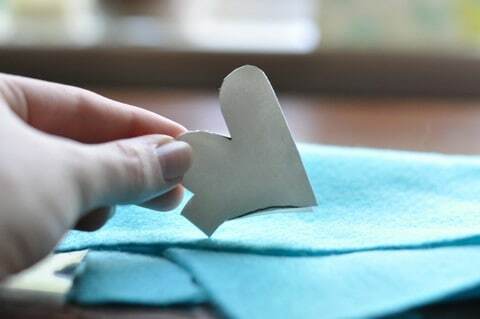 DO: Hide each letter of KINDNESS around the room. After the children arrive, explain to them that there are eight letters hidden around the room that spell the fruit of the Spirit you will be learning about today. After they find all of the letters, see if they can discover which fruit it is on their own by looking at the verse on the board. Give them clues if they are unable to figure it out. Then have them spell out KINDNESS by looking at the board and arranging the letters in the right order on the floor or tape them to the board underneath the verse. SAY: Kindness can be shown with our thoughts, our actions, and our words. How many of you are kind all of the time? (Allow time for response.) None of us are kind all of the time! It is very easy to be unkind to our family and our friends because we are sinners. How can we discover more about kindness? (By reading God’s Word!) Let’s go to His Word now! SAY: The Bible tells us in this passage that kindness is a fruit of the Spirit. If we are saved, the Holy Spirit is living inside of us, and we can be people who overflow with kindness! This does not mean that we will be kind all the time. But as we come to know God more and more, we change. Kindness becomes part of who we are. With the Spirit living inside of us, He gives the power to be kind! This is only possible if you have believed and trusted in Christ for you salvation. ASK: What do we learn about kindness based on these verses? (Allow them to give their thoughts.) Kindness is what we do, what we say, and what we think. We are to be kind, to love kindness, and to learn kindness from our only perfect example, our God! Do: Use the Fruit of the Spirit coloring page for kindness. Act out the scene depicted in the picture or the acts you discussed as a group. Emphasize that as God produces kindness in our hearts, we begin to see other people as more important than ourselves. Remind them of Christ, who humbled Himself, coming down from the throne, making Himself a weak human in order to save all of mankind. We are to emulate Him! Say: When we are struggling to be kind to another person, we should remember God’s great kindness toward us. As sinners, we have offended God. The Bible says that we have even hated Him. So, God had every right to be angry with us, but instead He showed just how great His kindness is by saving us! When you really want to respond to someone with unkindness, think of how God could have punished you for your sin. But instead, in His kindness, He offers everyone here complete forgiveness! Every day we still sin against God, and He continues to be kind to us. Let’s show the kindness to others that God has shown to us! This is possible only if we abide in Him, if we get to know Him more and more through praying, learning His Word, and following Him. Spend time in prayer together. Remember the specific situations your children are going through. Invite them to share their needs and praises. Praise God for the fruit of the Holy Spirit, the kindness we are able to have because He lives within us. Encourage the parents to work on this verse with their children. Send a notecard home with each parent with the verse written on it and instructions to ask them about the five acts of kindness they will do this week. This idea is based on Proverbs 3:3. 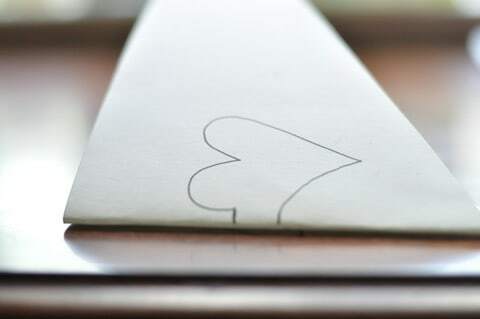 Draw a heart on a piece of cardstock or poster board like the example below. You can make them as big as you want! Write Proverbs 3:3 and Kindness on the inside. Punch a hole and loop twine or yarn through. Tie a knot to make a necklace. Let your children decorate their necklaces.